Davido, Olamide, Burna Boy, Comedian I Go Dye, Daddy Showkey, Charly Boy Oputa and other prominent entertainers supported 2face and their followers on social media were in high spirits about protesting against the administration of 'change' of the All Progressives Congress which has lost its popularity majorly as a result of the consequences of a recessive economy. As other entertainers maintain silence about the activism planned by the 'African Queen' crooner, two Nigerian lecturers namely Professor Akindele Adetoye and one Dr. Bunmi Awoyemi Divinewealth respectively whitewashed 2face and attributed his problem to lack of proper formal education. 2face, 41, officially has 7 children from three different women all except the last female child outside wedlock before he settled with his long-time girlfriend, Annie Macauley Idibia. Some fundamentalists and puritans on social media are of the opinion that the singer lacks the moral stand and reputation to lead a protest against a leader 'working' assiduously to fix the rot purportedly left behind by the 16 years of misrule by the People's Democratic Party, PDP. Akpabio is currently being investigated by the Economic and Financial Crimes Commission over an alleged mind-boggling fraud of N108 billion which was reportedly committed during his two terms - 2007 to 2015 as the First Man of the South South State. Meanwhile, David Mark's profile just like many public officer holders in Nigeria has come under questioning. According to New York-based news platform - Sahara Reporters, David Mark was a core member of the “Babangida Boys” club within the Nigerian military hierarchy under military dictatorship directed by the evil genius, Ibrahim Badamosi Babangida between 1985-1993 during which he allegedly made a fortune stealing public funds. Since government is a continuum, political analysts have questioned why Tuface who benefited from Nigeria's days in the 'wilderness' will have the impetus and audacity to organize a national protest bearing in mind that the economic quagmire of Nigeria was orchestrated by the previous administration. Economists even predicted the current economic recession since the year 2014 as oil prices at the international market suffered a free fall under former President Goodluck Ebele Jonathan. This according to them betrays the golden saying that "he who comes into equity must come with clean hands"
"Let me tell you something. 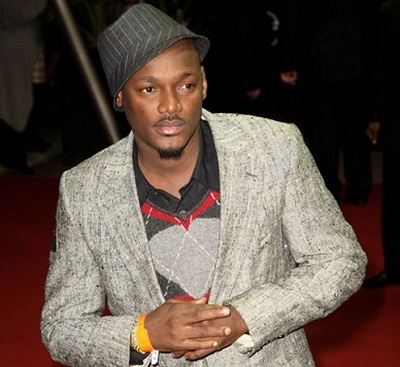 Does 2face Idibia have a fruitful foundation? No, Does 2face Idibia have anything that has to do with Benue State? No! Let me tell you something now. Emma Ugolee (a sick celebrity) is in the hospital. If somebody is a front runner what is he supposed to do? 2face is supposed to be able to mobilize people to figure out a way to raise money for Ugolee 's hospital's bill. If I want to do that, the radio and TV are not going to listen to me. You guys have to come out straight. I don't know what will happen after it but we don't have to do no protest. Let us get our mind straight, they should stop that and stop manipulating people's mind." The drama seems unending as Nigerians remain divided over the national protest scheduled for 6th of February, 2017 at the national stadium, Lagos State. Tuface remains unfazed about the challenges and criticisms as he plans to actualize his plan as announced in today's public announcement on social media.